The style of this blanket is so soft and sweet it should be minted! Features soft textured dot fabric on one side. Framed with a mint satin border and reverse, it's ideal for a little girl, little boy or both! Cuddle up with the Peanut Shell classic reversible blanket. 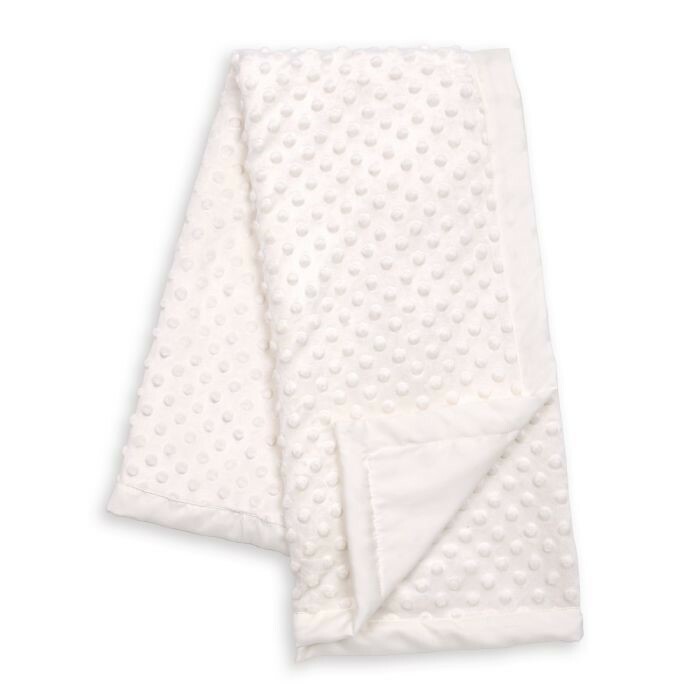 Features soft textured dot fabric on one side. Framed with a navy satin border. 100% polyester satin and plush dot. This blanket makes a wonderful gift for yourself or someone else.